CAMP JUAN, Laoag City, Feb. 8 — To strengthen police visibility in various tourist destinations and crime prone areas in Ilocos Norte, the innovative top police officials in the province have put up mini outposts of law enforcers called “police CART” project. The project was launched during the local celebration of the PNP’s 24th foundation anniversary held at the Ilocos Norte police provincial office compound, Camp Capt. Valentin S. Juan here with Gov. Imee Marcos as invited guest of honor and speaker. The Police CART, which stands for Community Assistance and Referral Team, is a police assistance center manned by three police patrollers composed of two male cops and one lady cop. Senior Supt. Sterling Raymund Blanco, acting Ilocos Norte police director, said the Police CARTs are deployed in areas of convergence, tourist destinations and crime prone areas in the province where strong police presence is needed. 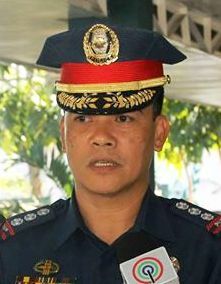 “The police officers, who man the Police CARTs, are the immediate responders to all emergency calls reported by the civilians in the area,” said Blanco. “The CARTs will bear semblance to mini mobile police stations where members of the community could immediately go, seek assistance, refer cases and provide information on matters concerning peace and order,” he added. Initially, 10 Police CARTs were already deployed in strategic places in Laoag City, Batac City, San Nicolas, Bacarra, Paoay, Currimao, Burgos, Bangui, Badoc and Pagudpud towns.